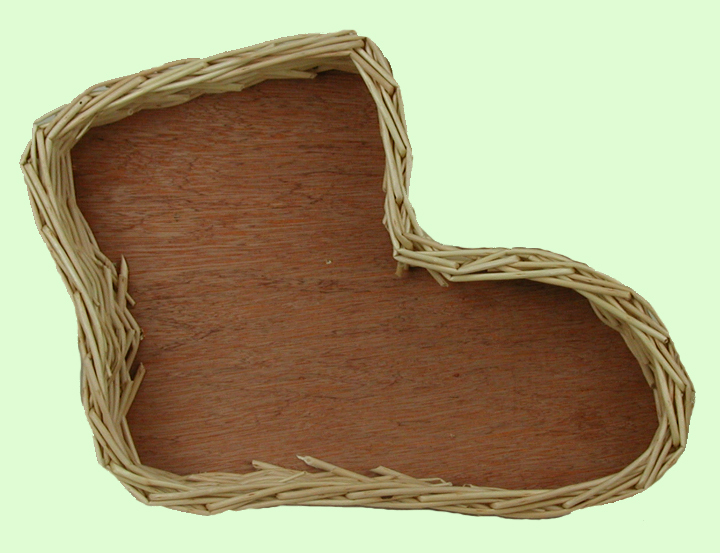 This basket is made in the shape of Louisianna. It measures 12" east to west, 10.5" north to south, 2.5" deep. The dimensions are based on outside measurement. It is made of white willow with wood bottom. It is available only in Natural.